The reformation happened when the criticizim started towards the Catholic church. For along time it had been customary for the popes to grant indulgences for buildings of public utility. The way the pope was doing or controlling the church the way he wanted wasn't the correct way . Also the European merchants resented paying taxes to the Catholic church. 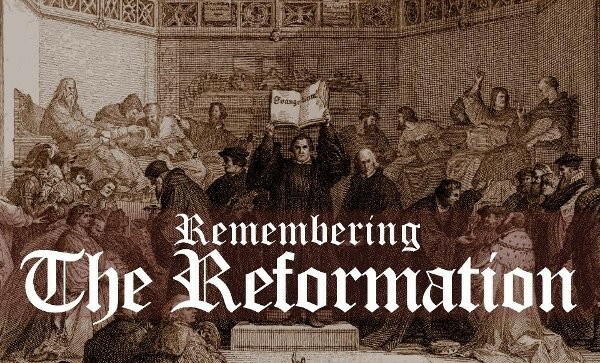 The picture to the left is related to this because we are remembering about the reformation. and it looks like it is in the middle of a case were everybody gets together and discus about the reformation. who were the people associated to the change ? their people associated with the change. many people had many different reasons for the change. Matin Luther tarted to change because the didnt belive in buying your way to salvation. he thought that the the pope was corrupt and didnt do things the way they were suppost to be done. so what luther did was paste 95 thesis on the doors of the church. Also Johannes Gutenburg improved the printing press that the chinese had invented. he made it easier for people to get bibles and that why many people started not to come to church often.People now had their own bible so the didnt have to go to shurch any more.John Calvin was another priest - turned reformer.like Matin luther he belived that faith in god provided the way to salvation.King Henry vii - England breaking away from the Roman Catholic Church based in Rome. Henry placed himself as head of the church and in that sense, in his eyes, his divorce was perfectly legal.